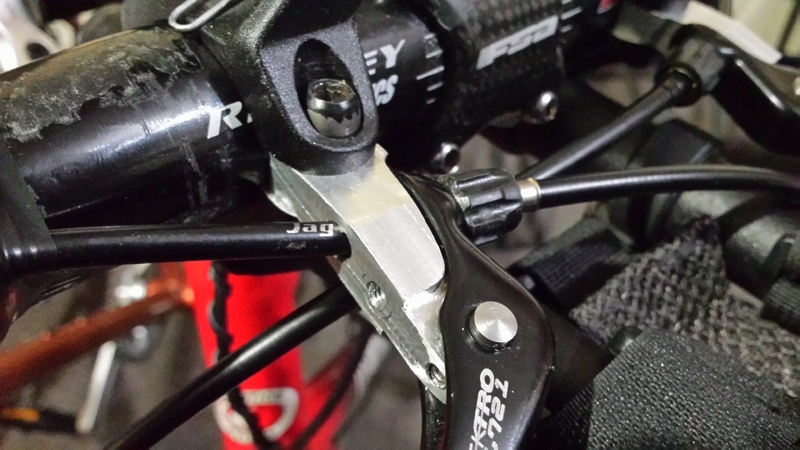 This was a customer that used aero clip-ons not for aero reasons but for long distance touring. The idea was to maximize the number of available riding positions in order to avoid strains from being in one position for too long. 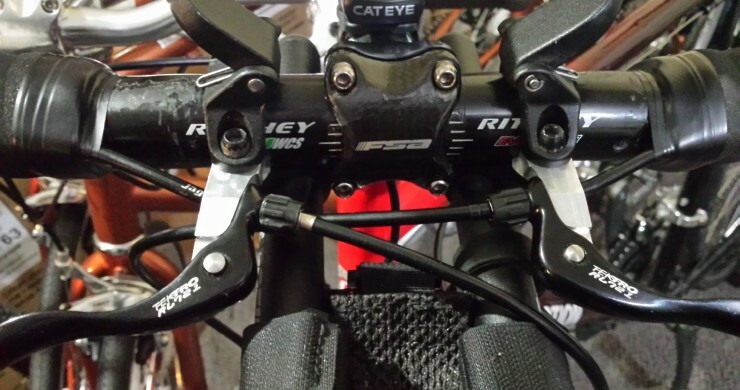 He wanted cross-top brake levers as well so I made him some custom lever bodies that integrate right into his Profile Design clip-ons and make use of the commonly available Tektro RL 721 lever blades.